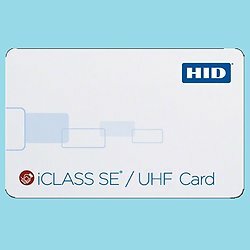 The SIO Enabled UHF (Ultra High Frequency: 860-960 MHz) contactless smart card is designed for long read range (parking, gate, healthcare...) while leveraging your investment in existing access control systems. Personalize the card with a photo ID, magnetic stripe, barcode, or anti-counterfeiting element. Direct to Card printing on these cards is not recommended.